Mini trampolines are not only for fun. 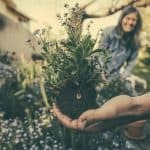 These enjoyable outdoor toys are also great for when thinking of ways to stay fit and lead a healthier lifestyle. There are far better things you can do on your mini trampoline besides aimlessly jumping up and down just for the fun of it. I mean, that’s what you are supposed to do on a trampoline, right? But if you look beyond the superficial fun you get when you play on your bouncing toy, you’ll realise that mini trampolines are also a great way to deal with your body fats and stay fit. Exercising on mini trampolines can be fun and enjoyable whilst helping you get fit, not the usual package you get when you do traditional exercises. There are several types of trampolines depending on your needs. They come in different sizes and materials. Studies suggest that trampolining (also known as rebounding) is a better exercise than jogging or running. A great deal of stress and fatigue is lessened whilst exercising on trampolines compared to jogging. Since you land on a hard surface when you jog, you put a lot of stress to your leg joints, exposing them to possible injuries. On the other hand, trampolining is a softer but more effective approach since you land on a soft and bouncy surface and the possibilities of having leg stress and fatigue are lessened, if not avoided. Mini trampoline exercises have become popular because you get the same benefits of doing your exercises on larger and bulkier trampolines which cost so much and take up a lot of space. • Since you’re dealing with a smaller version of a standard trampoline, you can use your mini trampoline inside the house or in your spacious backyard. Note: If you decide to use your mini trampoline inside the house, ensure that your ceiling is high enough to avoid any head injuries. • Mini trampolines are easier to maintain and store and they don’t take up a lot of space which is great if you have a relatively small exercise area. • As with any other types of trampolines, mini trampolines help you improve your balance and coordination. 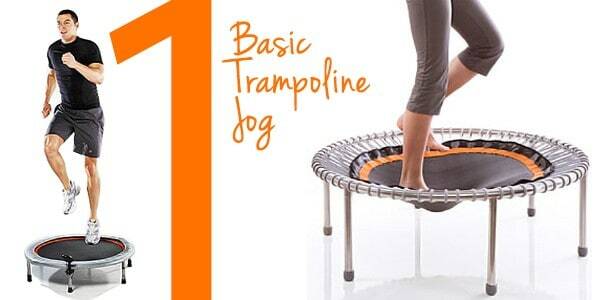 • Mini trampoline exercises are a great way to improve your cardiovascular health. 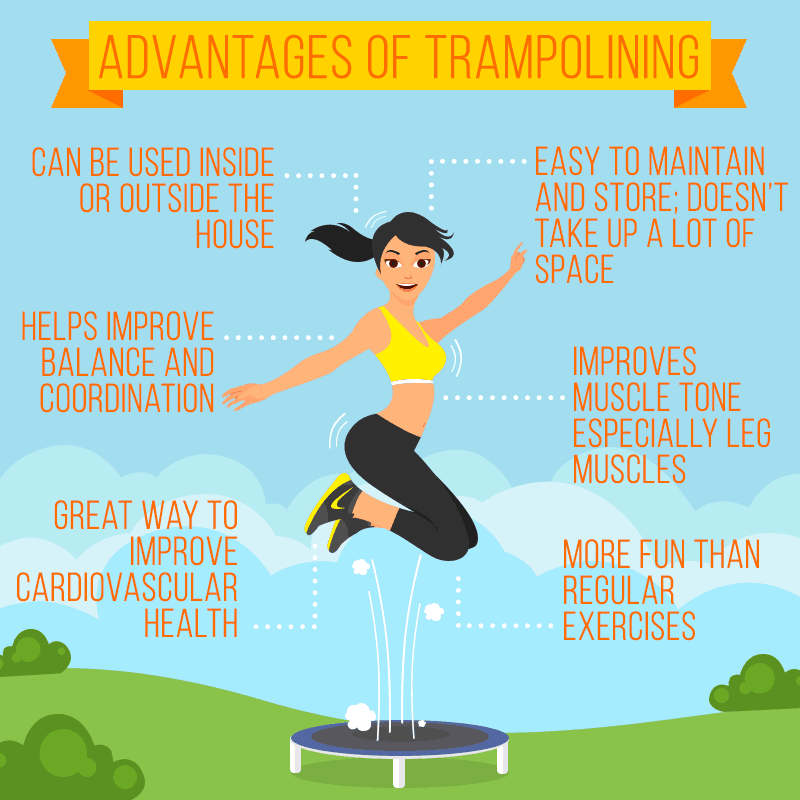 • Trampolining also improves your muscle tone especially your leg muscles. If done with handheld weights such as dumbbells, trampolining can also improve your arm muscles. • Trampolining is a more fun way to exercise than your usual routines. Which muscle groups does trampolining help develop? Well, this still depends on the types of exercise routines you will opt to do on your trampoline. But unlike any other exercises which only zero in on specific areas, trampolining is considered a full-body workout. 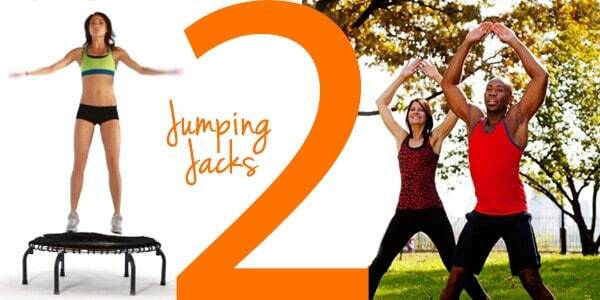 Basic trampoline routines will give you more toned abdominal, leg, buttock, and thigh muscles. What exercise can I do on my mini trampoline? Now that you know the benefits you can get from trampolining or rebounding, it’s time to put on your workout shorts and hop onto your new exercise buddy. But don’t get too excited. As with any other exercise routines, you have to do a quick warm-up to loosen up your muscles and prepare them for the activity. This can also prepare your cardiovascular system for the additional pumping it is expected to do. You can do simple jumps on your trampoline for about 2 minutes or until you feel that your muscles are already relaxed and ready for an increase in activity. All set for the exercises? Right below is where things get real, mate. Take a look at the simple yet effective exercises you can do on a mini trampoline to stay fit and healthy. This is a pretty elementary exercise you can do on your trampoline. The good thing about this routine is it can be done by most people, regardless of fitness levels. What you can do is stand tall on the centre of the trampoline and jog in place. With your back slightly leaned, try to raise your knees as you begin with the routine and you can adjust it to chest level as you progress. The good thing about doing jumping jacks on trampolines is that you get the same benefits that you normally would have when doing it on flat surfaces but with much lesser pressure and impact absorbed by your feet and joints. And hey, isn’t it much better and more fun to do your favourite activity right on the bouncy surface of your trampoline? Whilst lying on your back, put your hands right at the back of your head, with your knees and hips bent at right angles and your feet off the floor. In this position, begin the crunches by straightening your left foot and bending the other. Using your abs, try to have your left elbow reach for your right knee and vice versa. 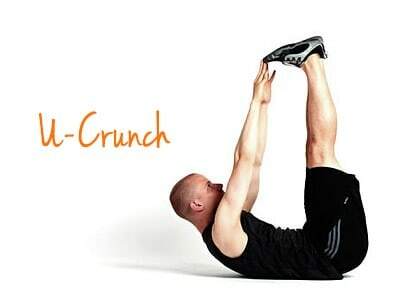 You can also hold the crunch on each side for a few seconds to make the routine more efficient and concentrated. In the same starting position as the bicycle crunch, begin by lifting your legs high up towards the sky with your knees slightly bent and your hands on chest. Create a U shape by lifting your body using your abs or stomach area. Hold this position for a few seconds and go back down. Whilst lying on your back, position your legs diagonally with your body forming an “X” shape. With your arms and legs positioned straight, reach for your left foot using your right hand and vice versa. This routine will have you lift your head, neck, and your shoulders. Repeat the routine for at least 10 times. Standing on the middle of the trampoline, jump up with both of your feet. Land on both of your feet and bounce up again, this time bring your right knee up high (to chest level). Land on both feet, bounce up and bring the left knee up. To achieve a more desirable result especially on your abdominal muscles, you can twist your waist on your way up. If you’re targeting your core, this is probably the best trampoline exercise for you. Whilst sitting on the middle of the trampoline, go to standing position as quickly as you can. This exercise will target your abs if you are aiming to have those well-toned abdominal muscles. Before you proceed with any of the routines, ensure that the mini trampoline set you will use is well-maintained, with all of its parts and frames properly set. If possible, set up your trampoline set in a spacious area without much congestion such as furniture sets and other equipment so you can move freely without being exposed to any injuries. Like any other physical activities you plan to do, you always have to consult your doctor if you are fit to do any of the trampoline routines listed. You can begin with the basic exercises whilst gradually going for the more complex and concentrated routines as you progress. So there! Never again will you look at your mini trampoline set as an ordinary playset intended to be enjoyed only by kids. If used properly, your mini trampoline set will help you stay fit and lead a healthier lifestyle. 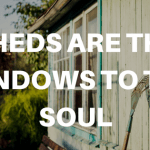 Shed Blog – Garden Buildings Direct is a participant in the Amazon Services LLC Associates Program, an affiliate advertising program designed to provide a means for sites to earn advertising fees by advertising and linking to Amazon.com. 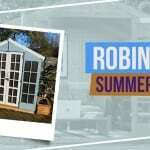 Additionally, www.gardenbuildingsdirect.co.uk/blog/ participates in various other affiliate programs, and we sometimes get a commission through purchases made through our links. Our company has been established in the outdoor building and leisure products industry since 2000. Manufacturing and delivering all our buildings from our UK site, our talented engineers are always striving to develop and improve our buildings. 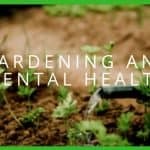 Our blog is full of gardening tips and tricks, as well as interior ideas, news on the latest exciting events and DIY know-how.